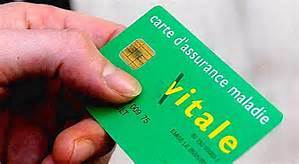 La loi du 14 juin 2013 sur la sécurisation de l’emploi prévoit la généralisation de l’assurance collective en matière de santé. Elle vise plus particulièrement les salariés qui ne bénéficient pas de cet avantage dans leur convention collective. Dès le 01 janvier 2016, toutes les entreprises doivent adhérer à un contrat d’assurance santé eu égard aux accords conclus dans le cadre de l’ANI ( Accord National Interprofessionnel c’est-à-dire les accords de branche ou accords professionnels signés par les organisations patronales Medef, CGPME et UPA et 3 syndicats , CFDT, CFTC, CFE-CGC ). Le coût de cette garantie est réparti à 50% pour l’employeur et 50% en cotisations salariales. C’est une protection supplémentaire pour les salariés qui ne peuvent pas se voire opposer par l’employeur la résiliation de leur adhésion collective car il s’agit d’une adhésion obligatoire. Ci-dessous vous trouverez l’Accord National Interprofessionnel du 11 janvier 2013 qui précise toutes les avancées qui ont été prises pour la sécurisation de l’emploi et notamment la prise en charge des frais de santé dans son article 1. After going over a handful of the blog articles on your blog, I really appreciate your technique of writing a blog. I bookmarked it to my bookmark webpage list and will be checking back in the near future. Please check out my web site too and let me know how you feel. this post is written by him as nobody else knpw such detailed about my difficulty. I simply wanted to jot down a simple note to be able to express gratitude to you for the marvelous tips and hints you are writing at this site. My time intensive internet lookup has now been rewarded with incredibly good ideas to share with my relatives. I would believe that most of us visitors actually are extremely fortunate to be in a fine site with many awesome professionals with interesting strategies. I feel truly fortunate to have used your entire web site and look forward to plenty of more enjoyable times reading here. Thanks a lot once more for all the details. After study a few of the weblog posts on your web site now, and I truly like your approach of blogging. I bookmarked it to my bookmark web site list and shall be checking back soon. Pls take a look at my website as effectively and let me know what you think. I just wanted to write down a small note to be able to appreciate you for all of the remarkable tips you are writing here. My time-consuming internet search has now been compensated with sensible tips to exchange with my family members. I ‘d express that we visitors are very much lucky to dwell in a fine place with many awesome professionals with useful methods. I feel quite privileged to have used your entire website and look forward to really more entertaining minutes reading here. Thanks again for a lot of things. I together with my friends ended up studying the excellent secrets and techniques from the website and so all of a sudden developed an awful feeling I never thanked the site owner for those techniques. All of the people ended up so excited to see them and already have surely been tapping into those things. I appreciate you for getting indeed accommodating and also for selecting this kind of ideal topics millions of individuals are really desirous to discover. My very own sincere regret for not saying thanks to sooner. I in addition to my pals ended up studying the best points from your website then before long I had a terrible feeling I never expressed respect to the site owner for them. All of the boys were totally joyful to read through all of them and have now undoubtedly been using these things. We appreciate you turning out to be considerably thoughtful and for using this sort of smart useful guides most people are really needing to be aware of. Our own sincere regret for not saying thanks to earlier. I would like to voice my love for your generosity for individuals that absolutely need help on your area of interest. Your special commitment to passing the message all over ended up being exceedingly effective and has always permitted employees just like me to realize their objectives. Your entire insightful guide entails a lot a person like me and additionally to my fellow workers. Many thanks; from each one of us.